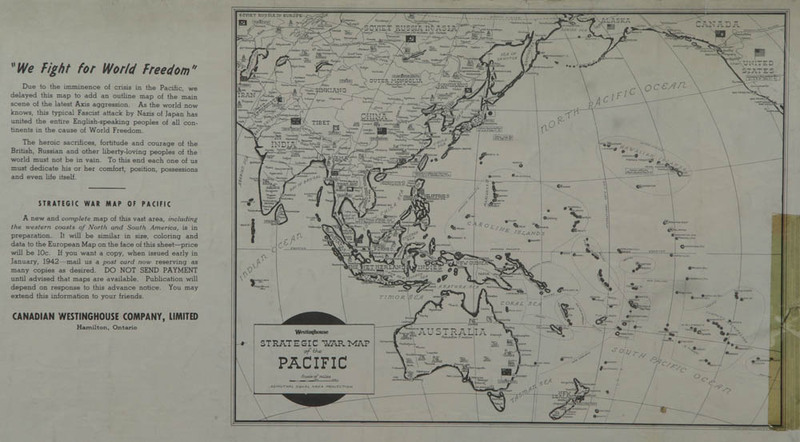 "Strategic War Map" of Europe produced by Westinghouse Canadian Westinghouse Co. Ltd., Hamilton, Ont. This is the back of the map and is included for reference purposes for the front of the map (image 00000759). Copyright, public domain: McMaster University and Local History & Archives, Hamilton Public Library, jointly own the rights to the archival copy of the digital image in TIFF format.